I spent most of a long plane ride home yesterday daydreaming about this salad. After 2 weeks of exploring chilly cities (across 3 countries that adore French fries even more than the US) and seeking warmth through said frites, wild game, and stewed meats, I was ready for crisp vegetables and a tall glass of water. Thankfully, 12 hours on a plane will give you plenty of time to dream up a great salad. I thought about everything my over-indulged body was craving and, as soon as I got home from the grocery store, put it all together in a big bowl: crisp fennel, bitter greens, hearts of palm, creamy avocado, and crunchy pomegranate seeds. The combination satisfies with its contrasting textures and gorgeous shades of pale green with ruby-red accents. And while nothing can beat being on vacation, it’s awfully nice to enjoy a meal in the comfort of your own home that doesn’t leave you feeling like you need to be air-lifted from the table. 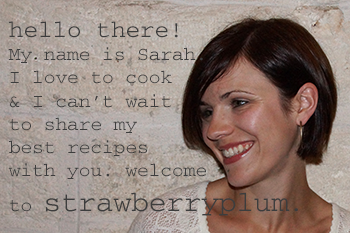 Okay, let’s turn my daydream of a salad into a reality. 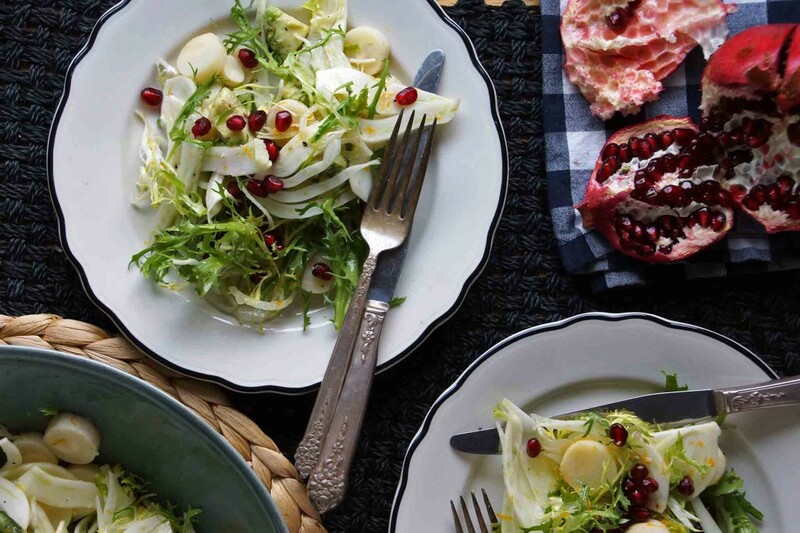 You’ll need a bulb of fennel, some frisée lettuce, a can of hearts of palm, and an avocado. We’ll make an orange vinaigrette to dress the salad and add a pop of crunch and color with pomegranate seeds. First, we’ll make the dressing. Just combine zest and juice from the orange, olive oil, and a splash of white wine vinegar in a small mason jar. 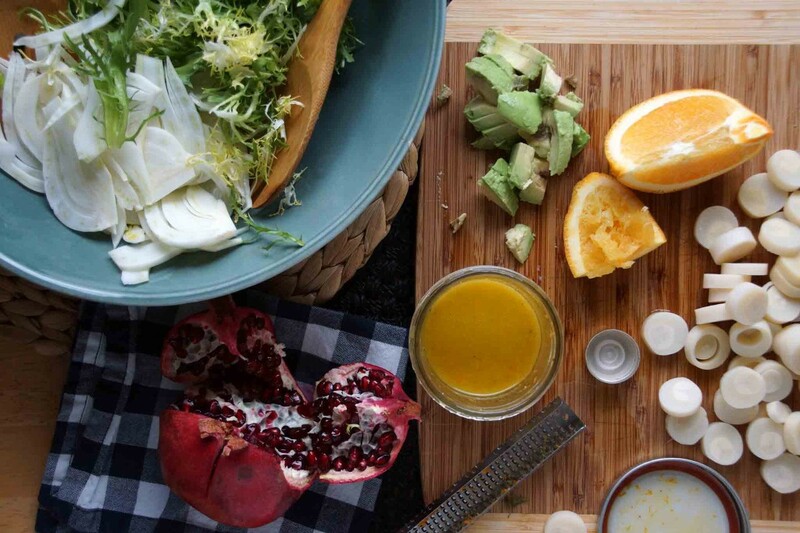 Give it a good shake and voilà–orange vinaigrette. No, I will never ever tire of the combination of orange and fennel. 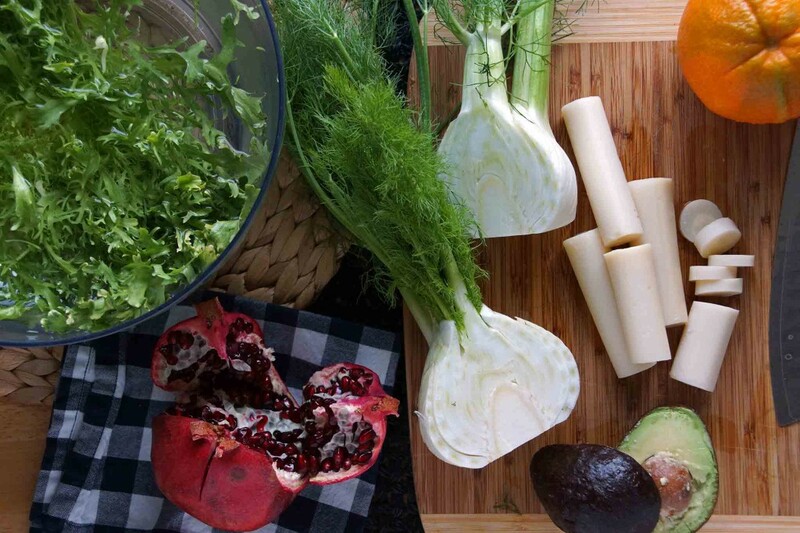 Now shave the fennel, tear the lettuce, chunk the avocado, and chop the hearts of palm. 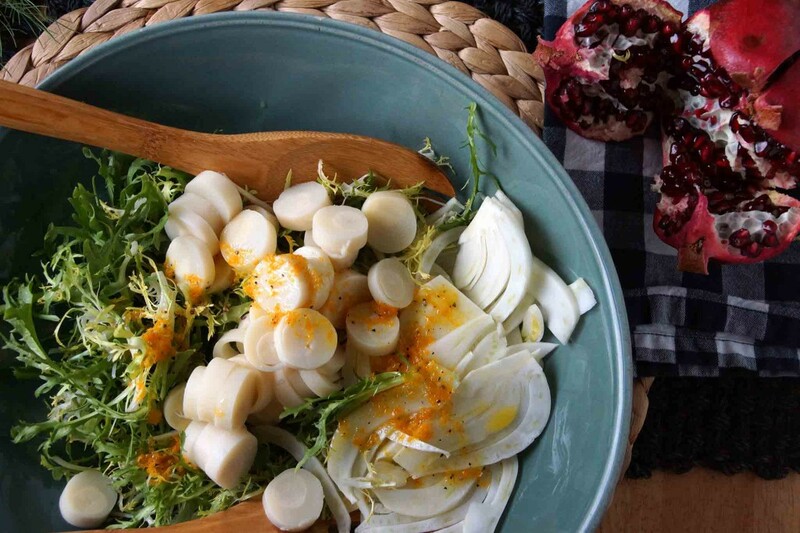 I never quite know how to describe hearts of palm or why I like them so much–something about the texture and delicate briny-ness. Toss all the vegetables in a bowl and dress. At the last minute, I decided to add a sharp note with a few slices of shallot. We’ll sprinkle the pomegranate seeds on top of individual portions so they don’t dye all our pretty shades of white and green hot pink. Plate it up and dig in! Recovery is tasting awfully good. 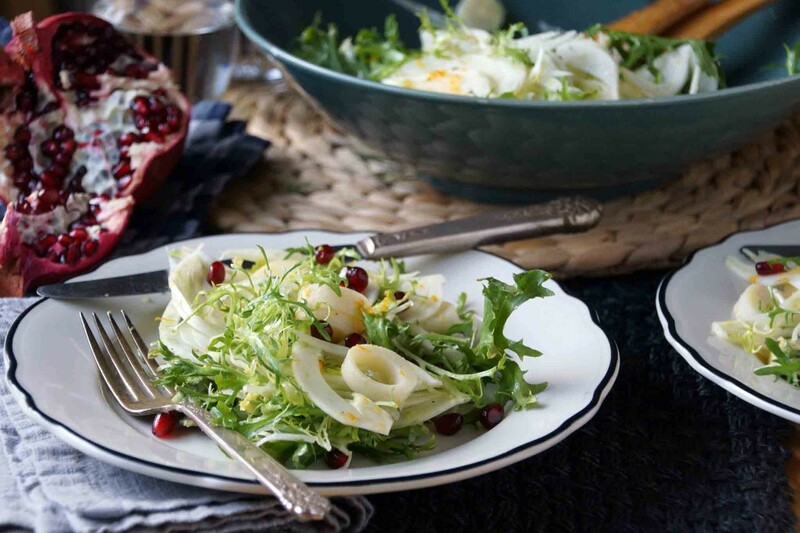 This salad would be a festive start to a holiday meal. First, make the vinaigrette. 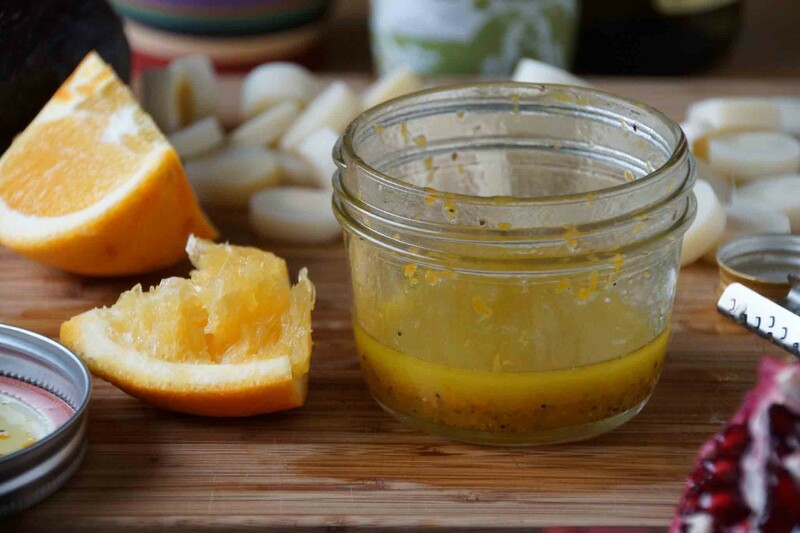 Combine the oil, vinegar, orange juice, and zest in a small jar with a tight fitting lid. Shake vigorously until the mixture is well combined and emmulsified. Season with about ¼ tsp. of salt and a few twists of pepper. 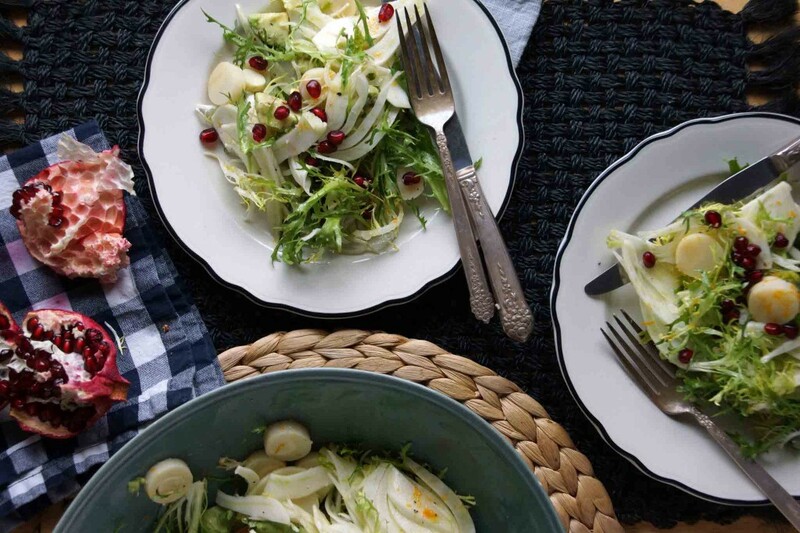 Combine fennel, frisée, hearts of palm, and shallot in a large bowl. Toss with the vinaigrette until everything is well coated. Add the avocado and give it a light toss (so the avocado doesn't get too mushed up). Divide between plates and scatter pomegranate seeds over the top of each portion.